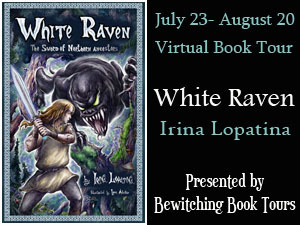 Also, people who pre-order will receive a PERSONALIZED, signed post card from author Irina Lopatina. Postcards feature landscapes from Altai, Siberia––the inspiration for White Raven's Kingdom of Areya. Movies are stylized, and that's fine because they're another piece of art. There is nothing wrong with that. You are quite right, Sarah. Movies focus on the modern consciousness, the characters not only look but act like modern people. A typical example is The Eagle, a movie in which the character of Channing Tatum manages to make friends with a slave and to refuse friendship with the patricians. This was quite impossible in the ancient Rome, because slaves there were just talking tools. But for us their friendship is natural and normal, so we can see this in the movie.